Our team of over 400 University-Educated People, our efficient and privacy compliant Process and our easy to use Technology have combined to perform over 3 million Reference Checks and over 3 million Criminal Record Checks for thousands of organizations in all industry sectors. PROCESSBackCheck will adapt a screening program to fit your company's needs. TECHNOLOGYIndustry leading technical infrastructure to ensure quality of service. BackCheck has demonstrated the capability and flexibility that have made us the pre-employment screening provider of choice for more than half of the nation’s largest 100 employers. BackCheck is larger than all of our Canadian competitors combined and can respond to peak hiring seasons across the country. Our experience in providing service for the nation’s largest employers allows us to leverage our previous learning and provide your organization with unparalleled service borne of our industry leading knowledge and expertise. BackCheck has conducted in excess of 1 million reference checks, each interviewer has conducted thousands. Team members hold post-secondary education in human resources, criminology, business, or related disciplines. With hundreds of background checking professionals in North America and the UK, we have the capacity to support even the largest of organizations. We focus on background checking so you can focus on other human resources or security tasks. Our interviewers and client services representatives are friendly, attentive, and engaging. BackCheck’s processes and workflow systems have been fine-tuned and adapted to anticipate future trends regarding the employment landscape that affects our clients. We have the systems in place to flexibly and promptly accommodate client requirements. 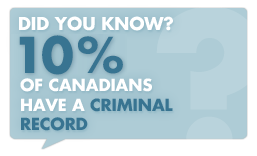 PIPEDA compliant forms and processes have been vetted by major Canadian law firms. All data stored in Canada. Fully bilingual operations and extended business hours to serve our client base. Processes, resources and technology are aligned to provide timely results. We have thousands of clients spanning all industries. BackCheck is well-positioned with 3 large operations centres in Vancouver, Montreal, and the United Kingdom. Independent department oversees all deliverables. BackCheck possesses an industry leading technical infrastructure to ensure quality of service. We show great ingenuity and continue to pave the way with innovative solutions. In addition to our world-class phone system specifically designed for a background checking call-centre, we have developed a robust proprietary software platform with emphasis on security, scalability, and availability. Real-time results available via BackCheck's easy-to-use online system. Bank-calibre technical infrastructure and security processes approved and used by over half of Canada's largest 100 employers. Our technologically advanced operations centres have passed numerous security reviews and audits. In-house team of programmers ensures continuous innovation. In partnership with TELUS and Avaya, BackCheck has developed and employs a phone system specifically designed for the efficient operation of a global background checking call centre. With HR-XML compatibility, our technology is based on the industry gold standard. Multiple large facilities and off-site data centre run by experts ensures 99.99% uptime.